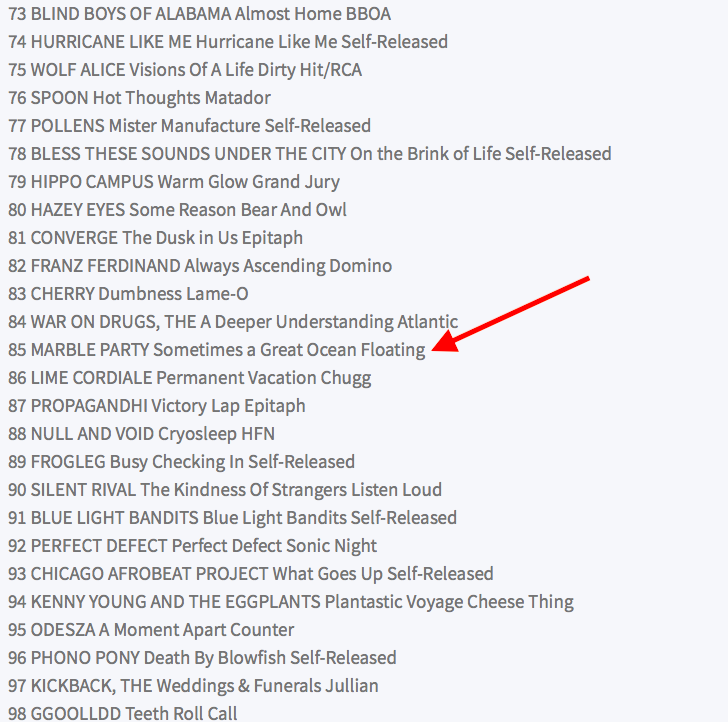 It appears that Sometimes a Great Ocean is climbing the college radio charts, folks. Major thanks to the awesomely wonderful DJs who are spinning our new album! As of today, we've crossed the top 100 mark, and are among some very excellent company.